If you are pursuing a relationship with a Christian or if you are currently in a relationship with a Christian, and you don’t plan on becoming a Christian, for your own sake STOP!!! (1) The Christian will try to convert you. If you don’t plan on becoming a Christian but think you can live peacefully with a Christian spouse, you’re dead wrong! Christians believe in the Bible and their Bible teaches that everyone is damned for eternity unless they put their faith in Jesus as God and Savior. Since your spouse loves you, the thought of you being lost for eternity is utterly unacceptable. This means that your Christian spouse will do anything possible to make sure that you become a Christian yourself. Your spouse will never agree with co-existing as a mixed faith (or mixed faith and non-faith) couple. It doesn’t mean you will be badgered day and night until you come to faith in Christ. Many Christians don’t overtly show their desire to convert their non-believing partner. However, the thought that your spouse cannot just let you be you and that he/she sincerely wants you to become a Christian will be a constant issue until you give in. If you die without any indication that you came to faith in Christ, your spouse will mourn your passing knowing you will never see each other ever again (because you won’t be with God in heaven). If your Christian spouse is dying ahead of you, he/she would definitely ask as a dying wish that you become a Christian so that you can be reunited someday in heaven. You should hear your spouse as he/she prays for your salvation. See? This reason alone should be enough to convince you not to marry a Christian. (2) The Christian will expect you to follow the teachings of the Bible. Seriously, this will be a cause of numerous debates and arguments between you and your Christian spouse. Many times your family culture, your personal preferences and convictions, and even your common sense are enough basis for your choices and decisions. Then your Christian spouse will throw in a monkey-wrench with the phrase, “but honey, the Bible says we should…” and the long discussion starts there. Bible this, Bible that, your Christian spouse will consider your ideas unacceptable unless they are in accordance with the teachings of the Bible. He/she will even quote what the pastor said in his last sermon to show you that you are wrong and that you should obey the Bible. Annoying. (3) The Christian will want you to go to church together. Your Christian spouse most probably attends a worship gathering every Sunday morning and he/she will want you to go together.Sleeping in on a Sunday morning will not be a luxury you can enjoy without fighting for it. If you play golf Sunday mornings, your wife will ask you, “how can you get up so early for golf but can’t go to church with me?” If you do go to church once or twice, your spouse will expect it to become a regular thing. Now don’t get me wrong, you might actually end up liking your spouse’s church. That’s fine and dandy but let me warn you that your spouse might also belong to a Bible study or fellowship group or he/she might be a regular attendee of a weekly gathering in church other than Sunday mornings. So this “join me in church thing” is not just a Sunday morning thing. (4) The Christian will give away your money. Let me clarify something, a good Christian church is not after your money. However, a good Christian, if your spouse is one, tends to be generous and charitable. Your spouse will expect you to give a percentage (usually 10%) of your income to help the church. Then he/she might be burdened for you to support a missionary. There will be occasions when the church raises funds for those struck by calamity or for the less fortunate and your spouse would most likely want to chip in. In short, a significant portion your hard-earned money will go to something you don’t even really believe in. And wait until your spouse’s church decides to build a new facility. You better “pray” he/she talks to you first before making a pledge for the building project. (5) The Christian will want all your children to become Christians. Since a Christian innately desires for everyone they love to also become Christians, your spouse will definitely make sure your children will have every opportunity to embrace Christianity. From going to Sunday school every week to studying in a Christian school to sending them to Christian youth camps every year (which you will likely pay for), your children will be brought up in a way that gives them the greatest exposure to your Christian spouse’s beliefs. In the event that one or all of your children do become Christians, your spouse will now have allies in the quest to convert you to Christianity. (6) The Christian will expect you to act like the ideal Christian spouse. Marrying a Christian means the standard for a Christian spouse and a Christian home will be high. If your husband is a Christian, he will expect you to always be respectful and submissive to him as a Christian wife should. Your Christian husband will quote verses showing you that a good wife is gentle and quiet and submissive in EVERYTHING. If your wife is a Christian, she will expect you to love her sacrificially the way Jesus Himself loved the church (and died for the church!!!). She will expect you to be a solid leader, able to take full responsibility for your family and able to make the wisest decisions that follow the Bible and honor God. Your spouse might even compare you to their pastor (or pastor’s wife) just to give you an example of where you are falling short. You just can’t get away with being a mediocre husband or wife if you marry a Christian. The saddest part of this is that your Christian spouse is not even an ideal Christian husband or wife to you. (7) The Christian will want you to love God above all. Finally, and probably the most confusing part, your Christian spouse will want you to love God above all. Its not enough for you to just be yourself: not a saint but not a devil, just minding your own business and trying to live a happy life. Your Christian spouse, because he/she considers God to be most important above everything, will want you to think and feel the same way. It will seem strange and confusing to you because if God is indeed most important above everything, then why in the world did your spouse marry you knowing full well that Christians ought to marry Christians. In the end, you will find yourself stuck in a “Christian” marriage that you didn’t agree into. And by the way, a good Christian church and a good Christian will never consider annulment or divorce so you’re really stuck. Of course, marrying a Christian isn’t all bad. You might find yourself with a Christian spouse who is easily swayed by your non-Christian ways. Your Christian spouse might not even be the type who is that concerned about your eternal destination. Or your Christian spouse might have just been brought up as a churchgoer and isn’t really a Christian in any real sense. However, if you don’t want to risk experiencing any or all of the things mentioned above, then for your sake, don’t marry a Christian. 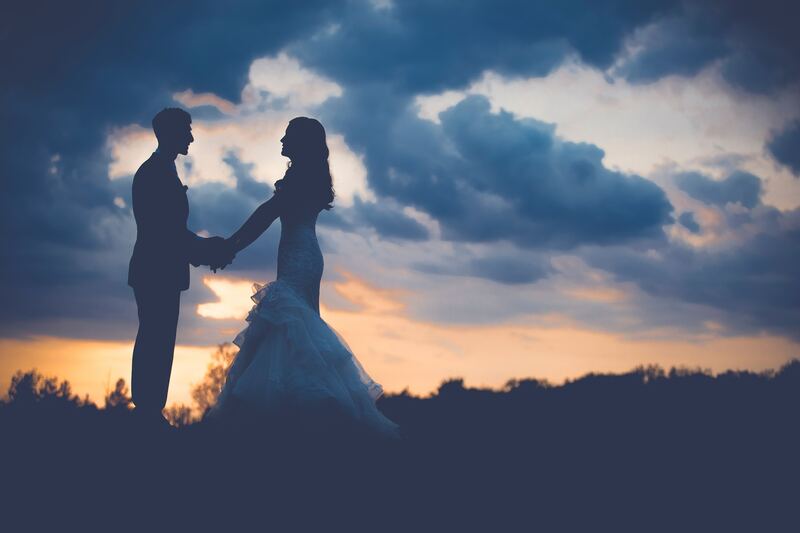 What if your spouse became a Christian after you got married? Then God really loves you and He really wants you to know Him. If possible, don’t let your Christian spouse’s (sometimes annoying) imperfections keep you from seeing the truth that Jesus did die for your sins so that you may live the life worth living, on earth and for eternity. The author, Jonathan Fenix, has been a committed Christian for almost three decades and he is happily married to a committed Christian for almost six years.